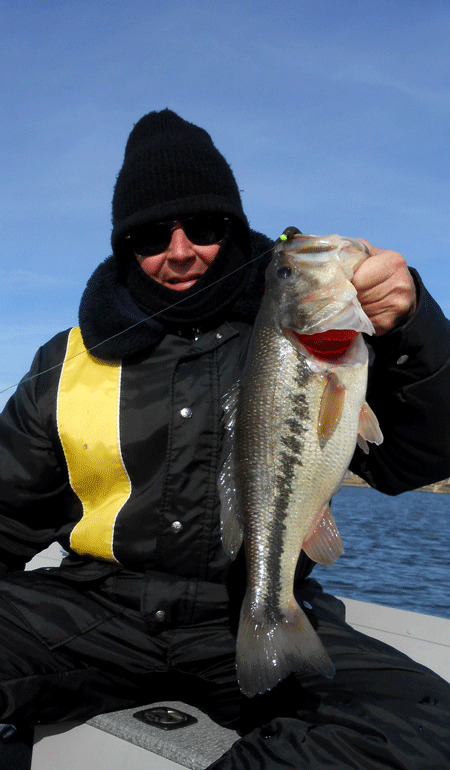 January is the most bedeviling and coldest month of the year for Midwest finesse anglers in northeastern Kansas. 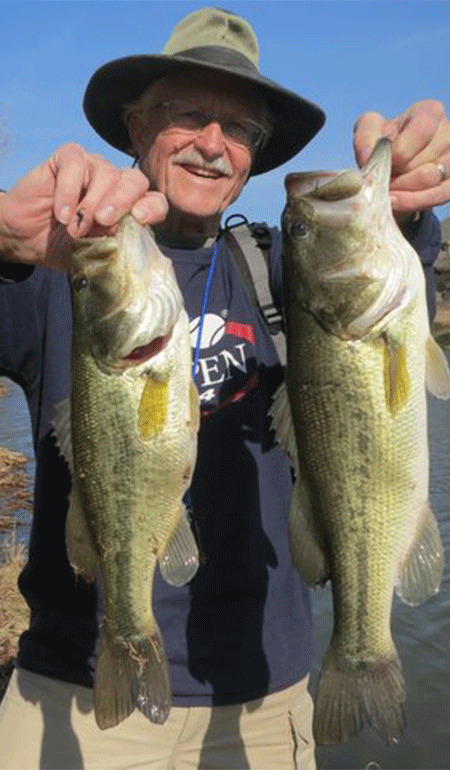 To some extent, it is that way at most locales across the nation – especially for the Midwest finesse anglers who ply the reservoirs in north-central Texas. The problem confronting Midwest finesse anglers in north-central Texas revolves around the fact that the fisheries biologists at the Texas Parks and Wildlife Department unwisely elected to stock the U.S. Army Corps of Engineers’ reservoirs with Florida-strain largemouth bass, and those bass and their offspring become what Steve Reideler of Denton, Texas, calls comatose in January. 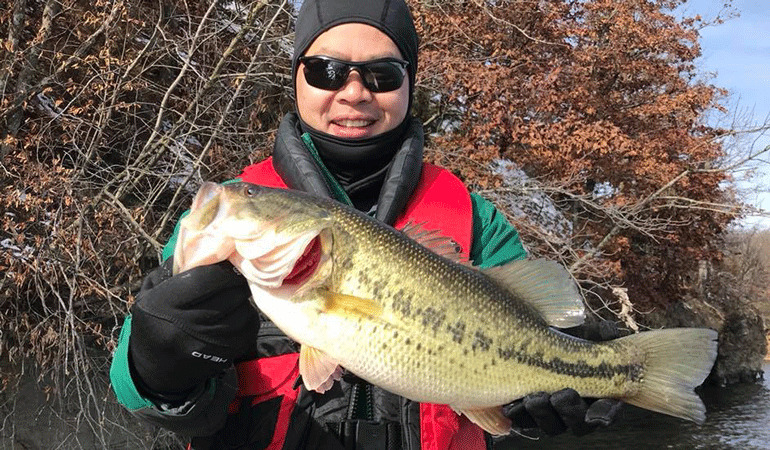 Besides the icy weather in January, Midwest finesse anglers in northeastern Kansas are befuddled about the state of the largemouth bass fishing at one of our power-plant reservoirs, which used to be one of the finest largemouth bass waterways in this part of the world. But since the winter of 2013-14, something has gone awry with the largemouth bass, as well as the temperate bass, that abide here. 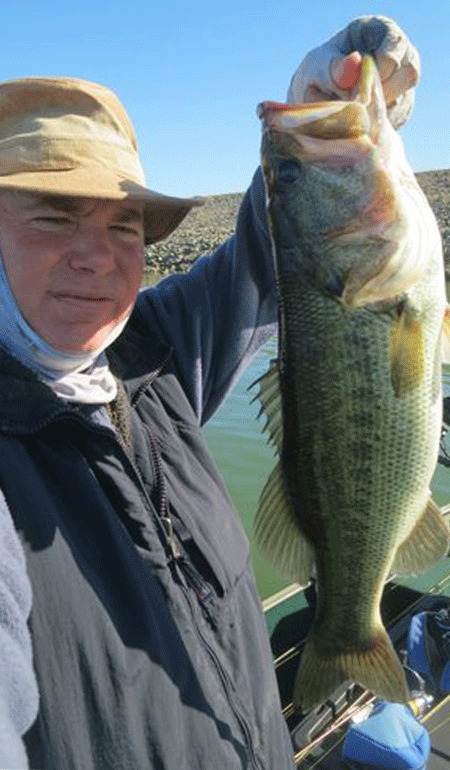 Some anglers speculate that some kind of disease has adversely affected the largemouth bass and white bass populations. 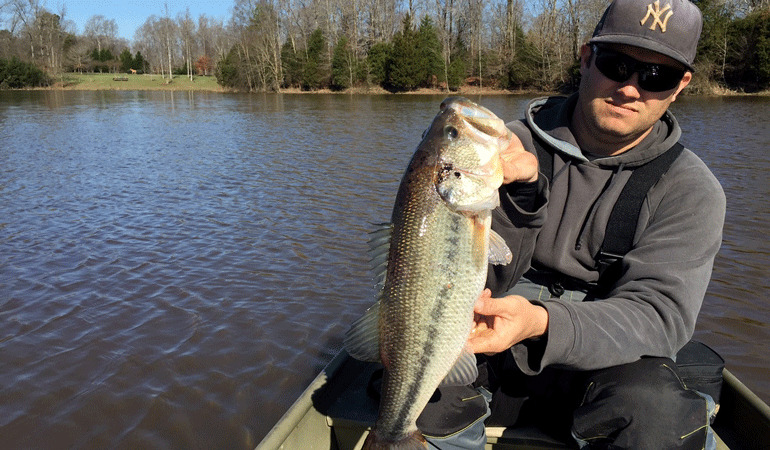 Other anglers suspect that heavy angler predation -- especially the effects of too many largemouth bass tournaments -- has caused harm to the largemouth bass populations. 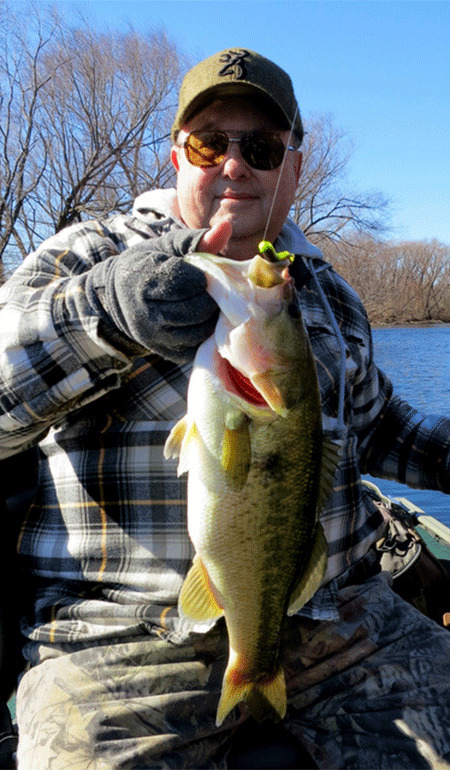 Before the advent of this dramatic downturn, a pair of Midwest finesse anglers could tangle with 50 to 75 largemouth bass during most four- to five-hour outings in November, December, and January. 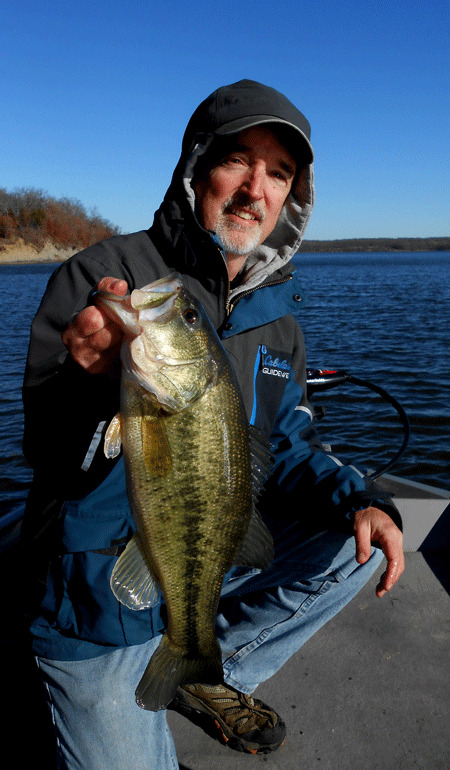 Nowadays, it is a struggle to catch 20 to 30 largemouth bass in four to five hours, and on many outings, it can be an ordeal to catch 15 largemouth bass at this reservoir. It is also important and disheartening to note that the smallmouth bass fishing at another northeastern Kansas’ power-plant reservoir has gone awry recently, and Midwest finesse anglers’ catch rate of smallmouth bass has declined dramatically. 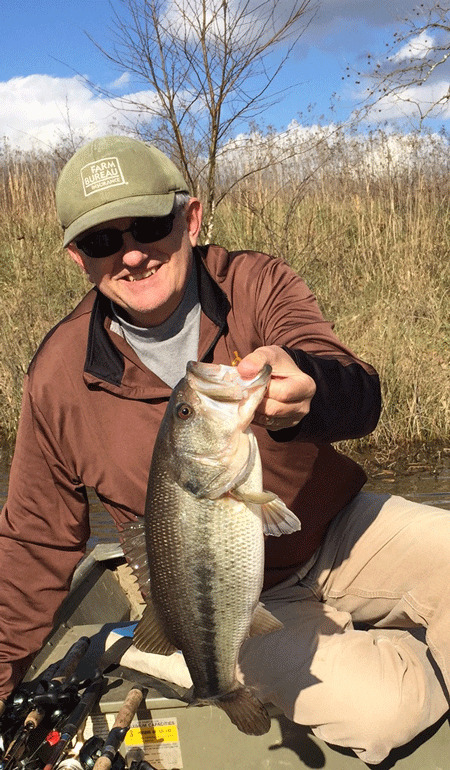 Despite the difficult black bass fishing that we endure in January, we have been able to publish 71,517 words since 2012 about how Midwest finesse anglers deal with the weather and their quarries in Arkansas, Kansas, Missouri, North Carolina, Oklahoma, Tennessee, and Texas. During Januaries of the pasts in northeastern Kansas, I was afloat three times in 2005, 13 times in 2006, eight times in 2007, once in 2008, once in 2009, zero times in 2010, three times in 2011, four times in 2012, three times in 2013, once in 2014, five times in 2015, four times in 2016, four times in 2017, and once in 2018, but Reideler and his colleagues were able to fish nine times in 2018.